excited to show you swatches of the Fall 2013 Scented Cupcakes and Champagne Collection! 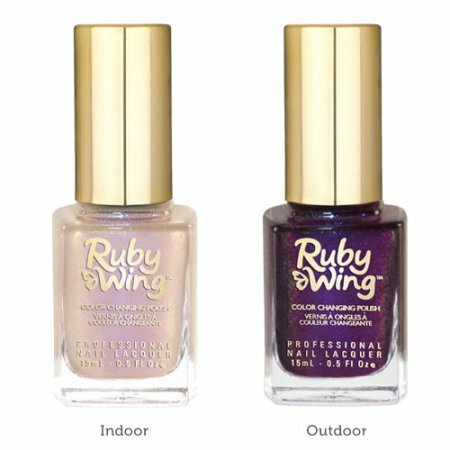 If you’re not familiar with Ruby Wing polishes, they use Solar Active technology to change color in UV light. Four of these are quite sheer and, in my opinion, work best as toppers. Doux consists of beautiful translucent to purple glass flecks packed in a solar active base which is transparent indoors and purple under the sun. Indoors, it reminds me a lot of Color Club Pearl-spective,I would usually be tempted to layer this over something dark and really show off the flecks, but since I wanted to capture the color change, I layered it over white. In addition to being solar active, Doux is also a perfume scented. This is two coats over white with no top coat. Sit back, relax, and enjoy some champagne with Doux, a scented nail polish that changes color in sunlight. 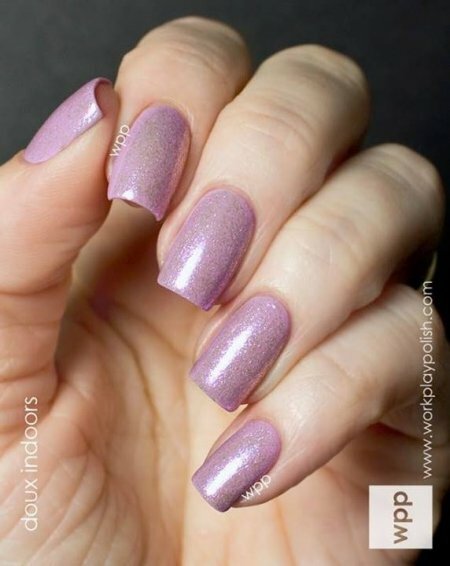 Indoors, Doux applies as an iridescent pink. Outdoors, it suddenly changes to a deep purple with a hint of sparkle. 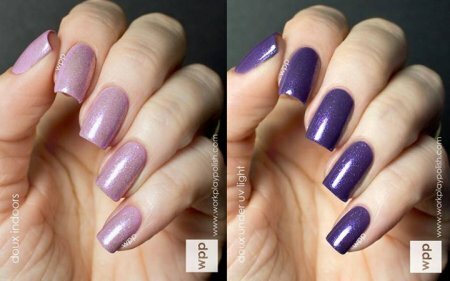 Like any other polish, color changing nail polish looks best when applied atop an even basecoat. 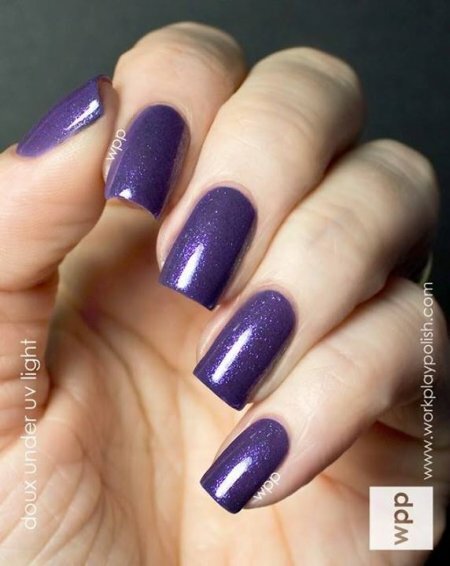 Apply only two thin coats of your desired shade, because two thin coats is always better than one thick coat. Once that has dried, apply a top coat and enjoy a different hue everytime you step into the sunlight.